I started this post planning to do a Summer update to the in-depth discussion of the Korean multi-step skincare approach I posted in the spring. In that post, I used my Winter and Spring routines to demonstrate how I choose from the as many as 30 products available for me to select a bespoke lineup for that morning's (or evening's) routine. I had planned to do a Summer Routine post this week, now that the weather and my routine has changed. Skincare on ice: does cooling your face help your skin? But we're not going to talk about that today, because while researching one of the elements of my summer routine, my mind has been blown and we're going to talk about that instead. Keep your skin cooled: heat isn't just hype? Ready? Let's get down with science and sheet masks. I'm sure it's no surprise that I watch every subtitled K-Beauty show I can find, but it can be a challenge to find them in a permanent spot as it seems like licensing agreement, etc, change on a regular basis. Recap: a Korean beauty show measures the hidden melanin/damage under the visible skin, much scandalized gasping happens, and a regime of whitening (brightening, not bleaching) products, keeping the skin under a certain temperature, eating antioxidant-rich foods, and sun protection ensues. The adage to keep your skin cool in the summer for beauty/aging/skin health reasons was something that I had seen in K-Beauty shows on a regular basis (DIY cooling sheet masks, even applying watermelon rind** as a cooling mask, taking before-and-after temperature readings, etc) but this was the first time I'd seen anything give hard number goals. 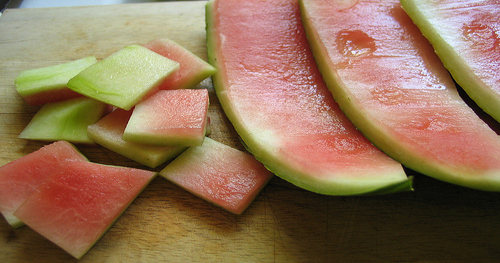 **Side note: I may try the watermelon rind DIY mask one day, if only as an excuse to buy and eat watermelon. In fact I bet it would make an excellent essence for my hardly-used DIY full-face cotton sheet masks ... hmm. Another day! I'm on board with whitening products (niacinamide get on my face), with antioxidants (vitamin C serum is a staple), and with sun protection (lots of it), but ... keeping your skin under 30C/86F? Whaa? To be honest, I side-eyed this advice (one should not simply accept all beauty show/guru advice as gospel, and don't get me started on Pinterest), but then summer arrived and things got hot and uncomfortable and I started looking for way to cool my skin just for comfort's sake. Temperatures are starting to climb north of 100 here, so things are getting hot, sticky, and miserable fast. My skin type is dehydrated combination/oily with easily clogged pores, so loading up on product in the summer is asking for breakouts + the thought of slathering layers of product on my hot, irritated face is enough to make me want to skip my routine altogether. The upcoming weather forecasts: ugh. Brace yourself; July is coming. However, I needn't have worried about maintaining my sheet mask usage rate, because if anything, it's escalated; sheet masks are now more likely to be in my routine than my trusty serums and even actives. Why? 3 words: Chilled Sheet Masks. The current batch of masks now lurking in the crisper drawer of my refrigerator. Sure, I had heard of sticking your sheet masks in the fridge but I actually don't really like cold things on my person (strange for a Canadian, I know) but my face freaked out after my first application of Azelaic acid and regular sheet masks were not soothing enough. I popped a second mask into the freezer for an emergency cool-off, and once I wore it, I understood what the fuss was about. Now I keep a gallon Ziploc bag in my crisper drawer (to keep it sealed) full of masks so I can pop one out whenever I feel the need to cool down my face. Wearing makeup or sunscreen, in public, or otherwise unable to mask it up? 2 words: Facial Mists. My staggering mist collection, one of which is empty. I have a Japanese mist but the pH is too high so it's banished. Aside from using mists to zen out for a moment before you flip out and rend someone limb from limb, Ahjumma Daesung style, they're also excellent for cooling off and lightly hydrating your face without disturbing your makeup or sunscreen. Or, like me, taking a quick moment to cool down physically and metaphorically so you don't send an email you're going to regret later. If you know what I mean. Every day, all day at work. Desks have remained un-flipped thanks to mists. You can also pat them on with a cushion sponge if you find it messes with the finish of your makeup, which is one of the tips from my Making the Most out of K-Beauty: 5 Simple Hacks post. Sure, they don't leave a sustained level of hydration on your face (at least, they don't for me) but they certainly rapidly cool down my skin and they're very refreshing. So why worry about cooling off your skin at all? So while I was preparing to write about how chilled sheet masks are the new hotness in my life, I was reminded of that Korean beauty show episode and I wondered if there was any scientific backing to the idea that heat could prematurely age your skin/cause damage. To my utter surprise, there may actually be a grain of truth to it. Note: a grain, not a salt lick**. 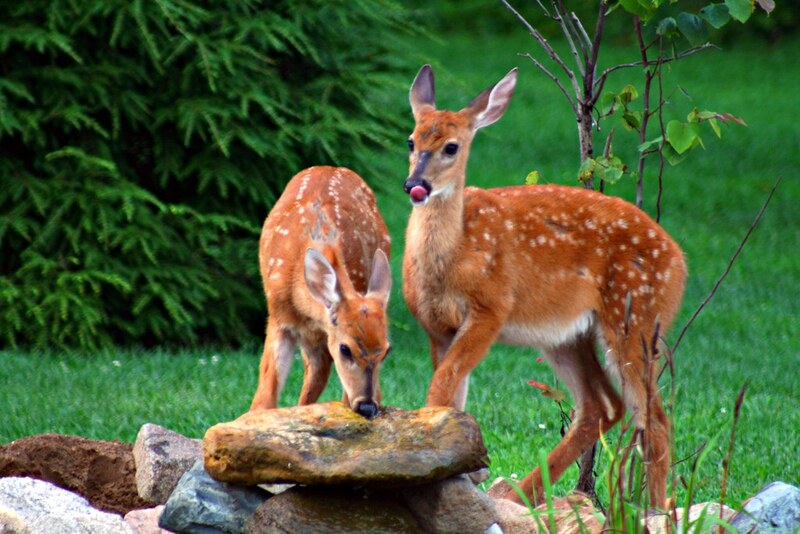 **Side note: While googling for pictures of salt licks, I learned that there are also natural-looking ones like this one, which was news to me! I'm only familiar with the ol' pressed-block-of-salt kind provided to livestock. Now that your daily dose of Animal Husbandry trivia is done, back to your face! One study does not a hard fact make, but it didn't take long for me to find a study (from South Korea, as it happens!) which suggests heat may have similar effects on the skin as UV and Infrared Radiation, namely the kind of damage linked to photoaging. As it turns out, heat does have an impact on the skin, and not a good one either. (Star Beauty Show, I may have misjudged you.) As Katie (one of the STEM ladies who I run to in times of study-generated crisis and haul enabling) pointed out: when we apply heat to protein molecules in say, egg whites, they undergo some pretty significant changes. She reminded me that heat affects protein structure, period, whether it’s on your face or on your plate. She adds: "What is one of our favourite proteins, that keeps us young, bouncy, and firm ... collagen!" I should have thought of that, I just don’t normally think of my face as “meat and fat coated in skin” although anyone who has been on the wrong end of an avocado slicing adventure knows that. I’ll be right back after I finish rocking in the corner. Katie: Alterations and deficiencies of collagen, the major structural component of the skin, have been suggested to be a cause of the skin wrinkling observed in both photoaged and naturally aged skin. Photoaging is serious business. If you've never seen this before, this is a photo of a truck driver after decades of sun exposure from the driver's side window. So if heat could contribute to damage similar to photoaging, I wanted to know more. Immediately. Do I need to keep an ice pack at my desk or what? I was initially distracted by the primary focus of the study, which was the impact of Infrared Radiation on the skin, whereas I wanted to focus on whether plain old “I’m roasting in my apartment because it’s midnight and it’s still 89 degrees in here, kill me now” summer ambient heat was speeding the aging process. However, further down the study does go on to discuss the effects of heat on skin aging, and don't worry about the mind-melting medical jargon, because Katie is going to translate this for us. 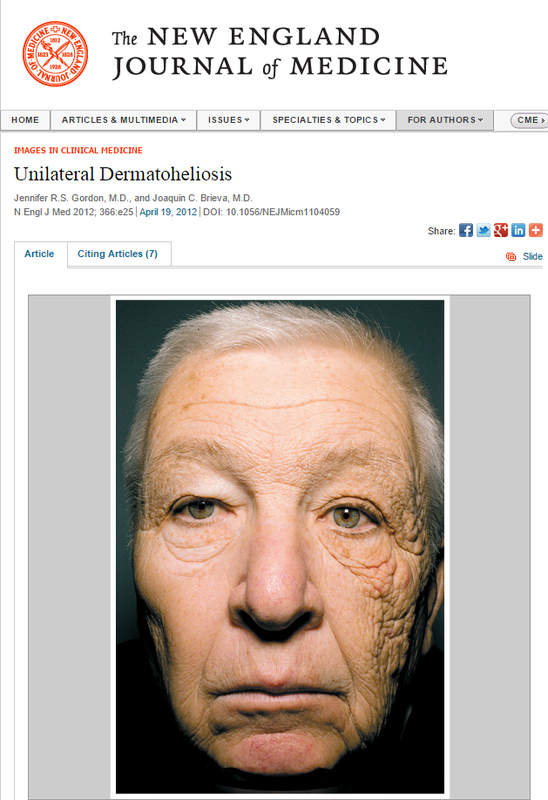 The main takeaway from the study is that heat, not just sun exposure, can contribute to prematurely aging skin. How much heat, and how similar summer conditions are to the level required for damage isn't clear, however. Before we dive in, I just want to remind you that this study does not in any way definitively state, let alone 'prove', that the temperatures of skin endured in summer weather conditions are equivalent to the conditions used for testing. I just wanted to find out if Star Beauty Show was huffing mist bottles, or whether there might be anything at all to their claims. Keeping that in mind, let's dive in! Katie took pity on me and broke down the relevant sections of this study for me, for which I am eternally grateful. ♥ Feel free to scroll like mad past this part if you're not interested! Me: Say what? Like an enzyme breaking down protein/collagen? [...] Therefore, heat, like UV, is a major environmental stimulus that probably plays an important role in the development of solar elastosis and premature skin aging. Katie: Also, heat causes that enzyme to form, which breaks down your collagen, and your body tries so hard to protect you. It does protect you, but causes those nasty side effects like aging. Ok, MMP-12 down, next point! Katie: Tropoelastin is one of the building blocks of elastin. It is known that repeated and prolonged exposure to heat insufficient to produce a burn causes erythema ab igne, which is characterized histologically by the basophilic degeneration of connective tissue and the alteration of elastic fibers, which resembles elastotic changes in photoaged skin (Hurwitz and Tisserand, 1987). Me: So basically it’s saying that repeated and prolonged exposure to heat, even if it isn’t hot enough to burn, causes similar damage to the elastin as if it was sun damaged? 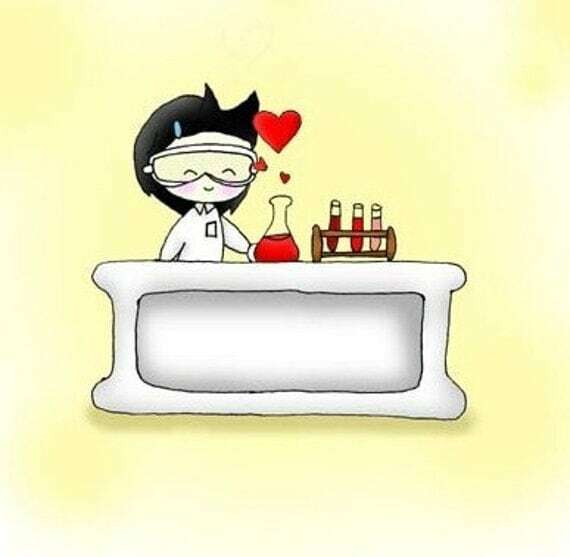 [...] Therefore, the abnormal production of tropoelastin and fibrillin by heat, like UV, in human skin and their degradation by various MMPs, such as MMP-12, may add to the accumulation of elastotic material in photoaged skin (Chen et al., 2005). Katie: This is blood vessels forming in real life human skin. Me: OK, so blood vessels forming in real life human skin is bad, right? Me: Ok, blood vessels forming where they don’t belong is really, really bad. Katie: Cytokines are proteins; they tell your cells what to do. So heat is telling your cells to do other things that they are supposed to do. Heat induces various cytokines, and these cytokines in turn regulate the extracellular matrix protein metabolism in human skin. Katie: Right, so those proteins are telling your frame to destroy itself. Buh-bye elastin. Buh-bye fribinin. Katie: And those are the building blocks too, it’s the frame. Elastin goes inside the frame, so that whole building block makes ... (dun dun dunnnn) …collagen. Me: So the elastin is the netting but the fibrinin is the frame? Me: This is what antioxidants are fighting? Katie: Yep, you’re getting it. Man, those antioxidants! You guys keep on keepin' on; I'm going to go eat some blueberries and a handful of spinach, brb. 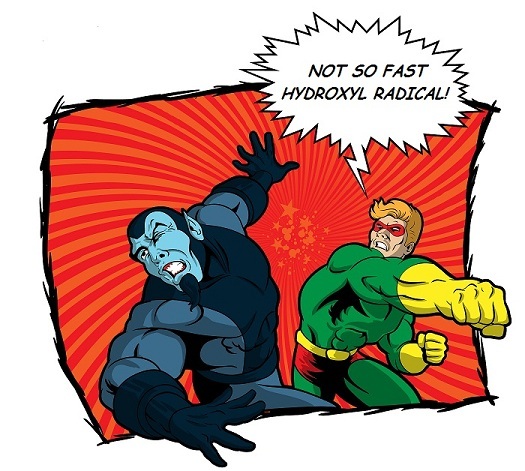 I was looking for a chemistry diagram for antioxidants vs free radicals, but this image from: WHAM! KAPOW! The cellular fight against free radicals from scienceline.org was the clear winner! It has been demonstrated that topical application of antioxidants, genistein or N-acetylcystein, can interrupt the UV-signaling cascade that leads to photoaging (Kang et al., 2003). These investigators demonstrated that UV increases H2O2 in human skin in vivo and that both antioxidants blocked UV-induced signaling. As heat is known to cause ROS generation, we investigated the role of ROS in heat-induced tropoelastin and fibrillin-1 expression (Chen et al., 2005). We found that pretreatment with N-acetylcystein or genistein for 24 h prior to heat treatment inhibited the heat-induced expression of tropoelastin in the epidermis, but not of fibrillin-1 (Chen et al., 2005). These results indicate that heat-induced ROS may play a critical role in heat-induced tropoelastin expression, but not in heat-induced fibrillin-1 expression. Katie: Heat causes that little oxidation junk to damage the DNA in your cells. When you mess up your DNA, you mess up your body's ability to recreate those proteins because it doesn't have the instructions to do so. Or, it mutates that DNA so it will make something else, or tells the DNA to keep replicating the cell when it shouldn’t … but, that’s for another lecture. Me: Antioxidants for the win! WHAM! KAPOW! So with all that being said, do I feel like this study 'proves' that skin reaching above 30°C (as mentioned in Star Beauty) will cause damage? Considering that the study uses 40°C and above for the testing, no. Are those rhinestones on that hem? It's like Star Beauty is saying that polar bears like to ice-skate, and the study is saying that polar bears may be unexpectedly capable of smooth, controlled, repetitive movements while on ice floes. There may be a link, but that doesn't mean the study is reason offer every polar bear you meet a sequined skating skirt, a skate sharpening kit, and a bottle of glitter hairspray. (A friend with a degree in biology, who also read the study for me, agreed with this analogy ... once she stopped laughing. However, is it possible that skin with a raised temperature is more vulnerable to damage, particularly when coupled with confirmed risks like sun damage? Personally, I am comfortable with saying it's possible, especially if viewed as a factor that will synergize with other, more traditionally risky factors like UV radiation, but I'm not convinced that it's something to get worked up about. I do think that the kinds of cooling methods I use (mists, refrigerated sheet masks) are so mild as to be unlikely to cause damage (at least not temperature-wise) so at best case scenario I am lowering my skin's temperature down to a 'good range' and at the worst case scenario I am enjoying some refreshing relief from the summer heat. No one needs to see the inside of my fridge, but setting this up has triggered a craving for mojitos. Even if there were no ~science~ benefits at all (and my personal jury is still out on that one), it would still be worth it to me for the relaxing feeling of cooling off my face with a chilled sheet mask after a long, stressful day. Not to mention the enabling of buying more mists. Next week I'll be posting about how and why sheet masks have overtaken my summer routine, and and possibly a roundup of some sheet mask reviews. **Disclaimer: : All products reviewed/mentioned in this post are 100% purchased with my own money and my opinions are entirely my own. This blog contains both affiliate and non-affiliate links, and clicking the former before you shop means that this blog may receive a small commission to assist in this blog supporting itself. Please see my Contact Info & Disclaimer policy for more information. Hey, just wanted to say that your blog is 100% pure badassery!!! Well-researched articles, scientifically legit information AND beauty??? Yes please!!! <3 Thanks! I love being able to research things like this and post about them, and have people enjoy it. Germany is just experiencing a heat wave and while my body is (surprisingly) "cool" with it my skin doesn't seem to like it one bit. Our aircon at the office being broken doesn't help either. I result to wiping off sweat with a towel and spraying on facial mist every now and then (even though my colleagues look at me very weirdly). Once I'm home I make myself comfortable in front of a fan and just now I have a chilled sheet mask on. If nothing else, it enables us to buy more facial mists, eh? (laugh-cry-laugh-sob) Thanks for the <3! Every time I read something about aging I constantly worry about my parents and how they're not using more antioxidant rich essences and serums on their faces! They take care of their skin and all, but all they're worried about is brightening. If only I could coax them into low pH and double cleansing and the importance of keeping hydrated at all times. Sigh..
What are some mists that you would recommend that don't have dehydrating ingredients like alcohol in them? As I don't react to alcohol, it's not a trigger I look for. You can always check databases like Cosdna, though, to screen things you are thinking of purchasing!